Your body is a temple. If you want to feel good, love yourself, and heal your relationship with your body, this book is for you. If you have struggled to love your own body, been crippled by feelings of low self-esteem or battled an eating disorder, this book is a gift to heal you and your sense of self. 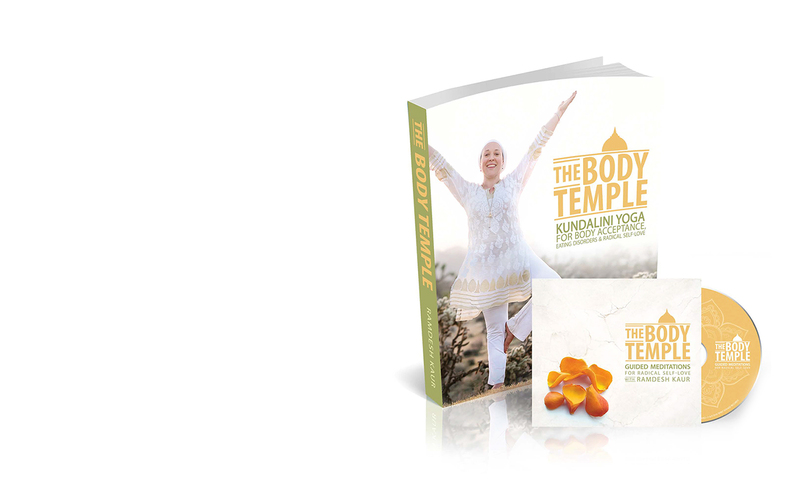 Written for both the total beginner and the advanced yogi, The Body Temple: Kundalini Yoga for Body Acceptance, Eating Disorders, and Radical Self-Love guides you through a nurturing practice of yoga, meditation, mantra, and miracles. 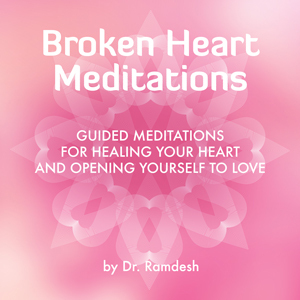 Known for her gentle yet powerfully soothing voice, Dr. Ramdesh guides these beautiful meditations to allow you to heal your relationship with your body, align your self-image in Truth, and fall in love with yourself like never before. 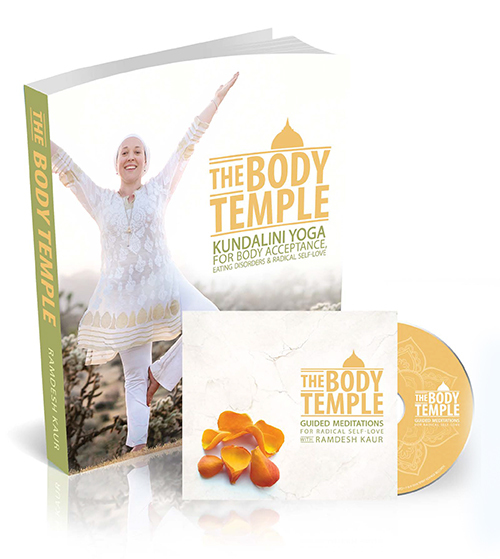 With Delta Wave music and binaural beats created by musician Ram Dass Khalsa to enhance the power of the meditations, this CD will take you on a journey of healing, allowing you to love and accept yourself fully, and embrace your body as the temple that it truly is. This soothing guided meditation album with crystal alchemy singing bowls offers processes to release past relationships, heal from grief, connect with angelic assistance, and move into gratitude. Lovers of sound healing will enjoy knowing that this album features the following crystal energies: Citrine, Emerald, Rose Quartz, Azeztulite, Charcoal, Ocean Indium, Platinum, Grandmother and Smokey Quartz. 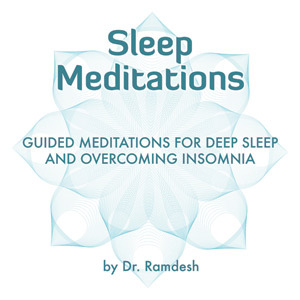 Dr. Ramdesh combines her soothing journeys with relaxing crystal singing bowls and binaural beats that put your brain waves into a deeper sleeping pattern in her new collection “Sleep Meditations: Guided Meditations for Deep Sleep and Overcoming Insomnia. Produced by long-time collaborator Ram Dass Khalsa, this is the first album where Ramdesh plays her own music, giving listeners a taste of what its like to be in a sound healing session with her. Each meditation offers a unique tool to support you in your efforts to overcome insomnia and have a more enriching sleep, and she offers also a crystal singing bowl meditation for you to drift straight into dreamtime. Whether you prefer a guided breathing exercise, a visualization, or gentle relaxation, this album offers tools to take control of your sleep cycle and release resistance to true rest. Lovers of sound healing will enjoy knowing that this album features the following crystal energies: Citrine, Emerald, Rose Quartz, Charcoal, Ocean Indium, Azeztulite, Platinum, Grandmother and Smokey Quartz. 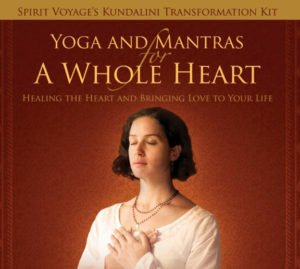 Yoga and Mantras for a Whole Heart is truly an offering to love and to you, a written guide through the practice of opening your heart through mantra meditation. This beautiful book has two sections. The first section focuses on Ten Guiding Principles for Living with a Whole Heart. These are simple and profound steps each person can take to approach life in a way that allows you to love and be loved. 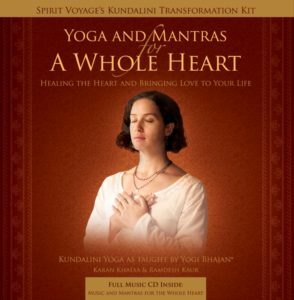 The second section consists of 5 incredible Kundalini Yoga Kriyas, each one working on a different aspect of the heart. The accompanying CD contains the music that is used in practicing each of these kriyas. 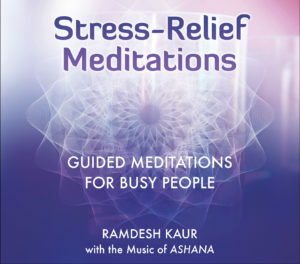 These gentle guided meditations by Ramdesh Kaur will lead you through a variety of practices, visualizations and breathing exercises to relieve stress and let go of some of the major causes of stress in a short period of time. Accompanied by the relaxing sound of crystal singing bowls and the beautiful vocals of Ashana, you will be transported in just a few minutes out of stress and into peace. Deeply relax into the gentle embrace of Dr. Ramdesh’s guided meditations supported by ancient mantras, angelic voices, and crystal singing bowls!  These guided meditations for deep relaxation each center on a theme whether it be finding your life purpose or manifesting abundance. Be relaxed and uplifted on your journey through life! Features the music of Snatam Kaur, Mirabai Ceiba, Ashana, Nirinjan Kaur and Jai-Jagdeesh. 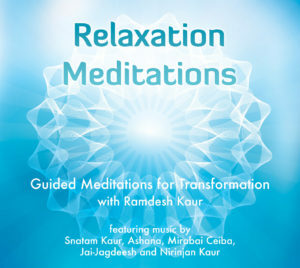 Ramdesh Kaur guides you through each meditation, gently taking you on a journey into your self, your spirit, and the beautiful soul of stillness. Each meditation is designed to enhance the quality of the mantra that supports it, taking you deeper into the meaning and experience of the mantra and your own self. Featuring the music of Snatam Kaur, Mirabai Ceiba, Jai-Jagdeesh, and Ram Dass behind Ramdesh’s smooth voice, this CD will leave you in a state of inner peace and ultimate stillness.